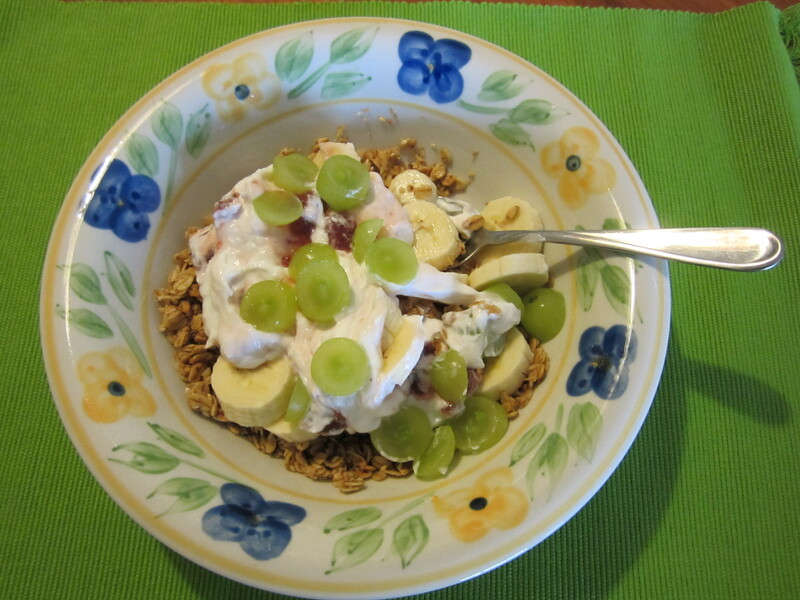 Greek yogurt – Cooking with Gabi – all about integrating Fruits & Vegetables into your daily diet! I was super hungry by 10am, as I had left my house having had only two apricots prior to the 5K at Metro Zoo. 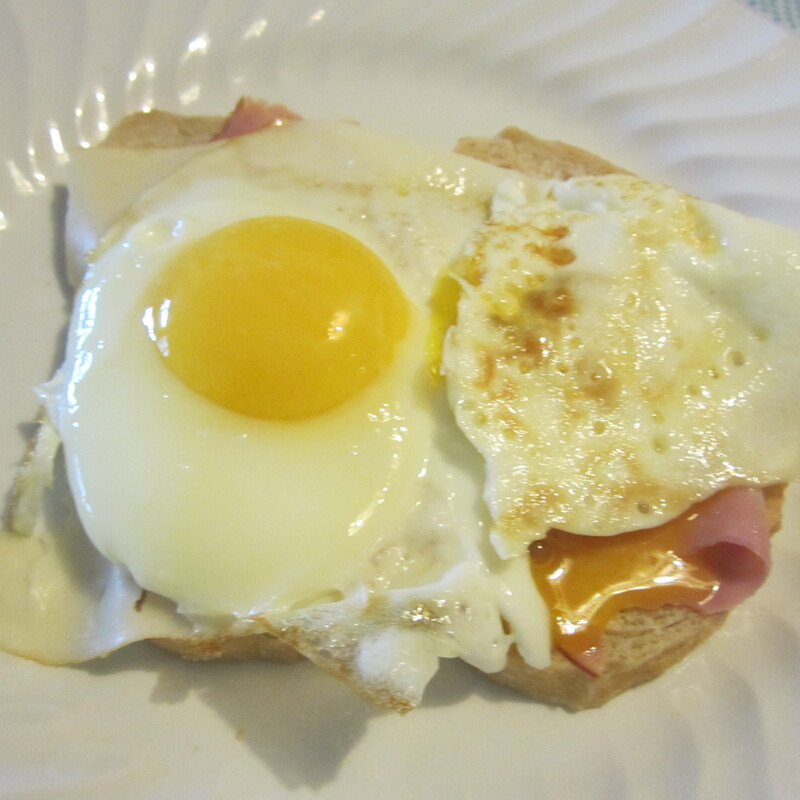 By the time that I arrived at my house, I ran to take a shower and get cooking to have a good brunch, and I came up with an open face ham and cheese sandwich with two fried eggs over toasted sourdough bread….can we say severely yummy? And for the fresh and sweet part, had to take some Fage Blueberry Acai Greek Yogurt and mixed it with strawberries, pineapple, and pecan granola from Trader Joe’s for a smashing flavorful success! Easy, delicious and filling….what else could you ask for???? 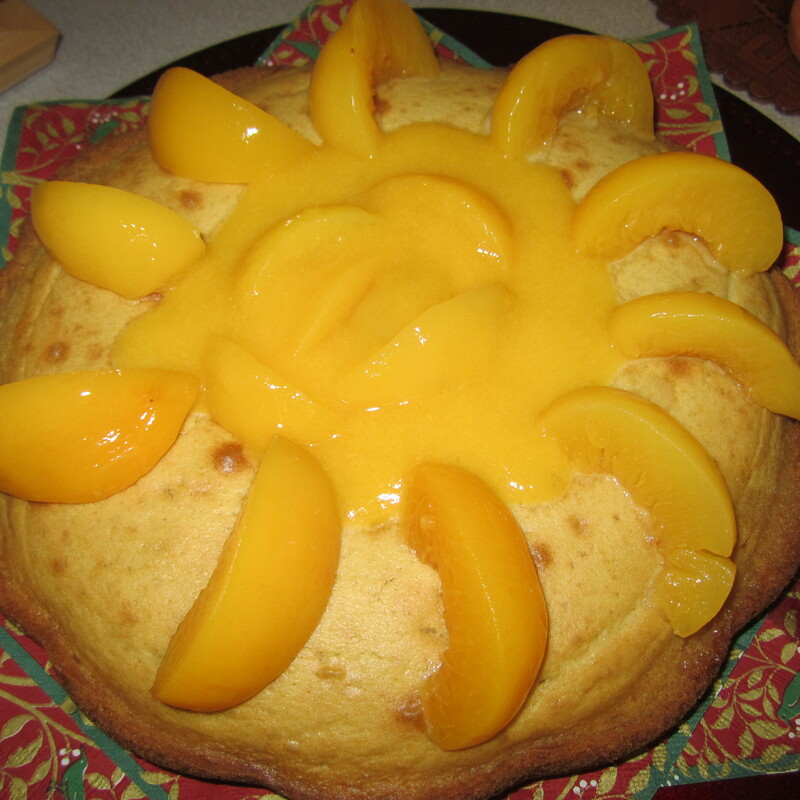 Peach and Greek Yogurt Cake! Sweet creamy peachy yumminess to celebrate Christmas! Breakfast….snack…..or for when you just want a pick-me-up….what is it? 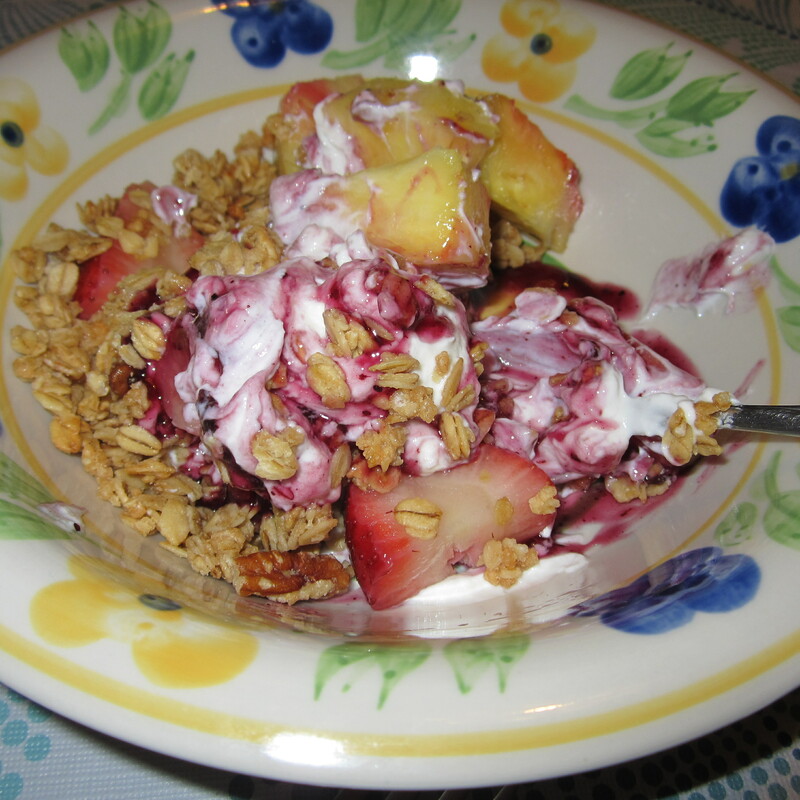 A yogurt-granola-fresh fruit mix! My all time favorite breakfast or mid-afternoon snack? Greek yogurt, granola and fresh fruit! Delicious…..filling…and easiest dish to put together!